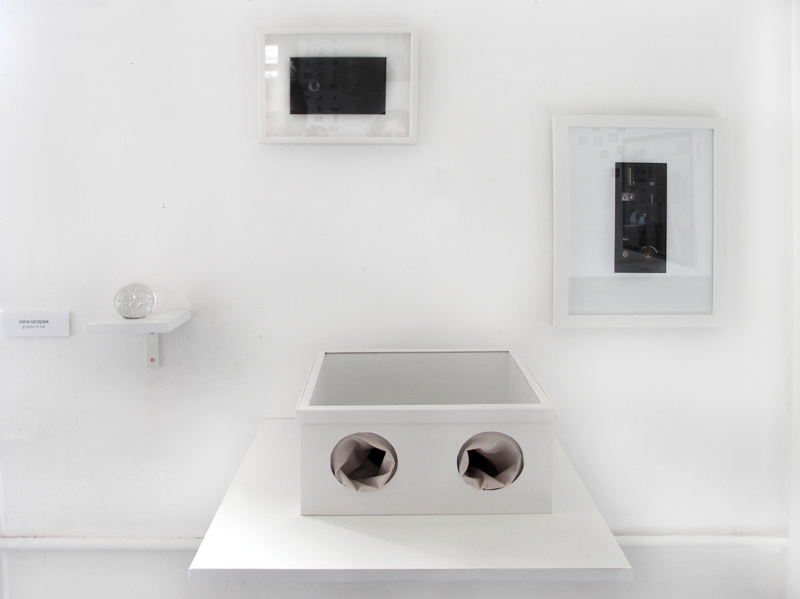 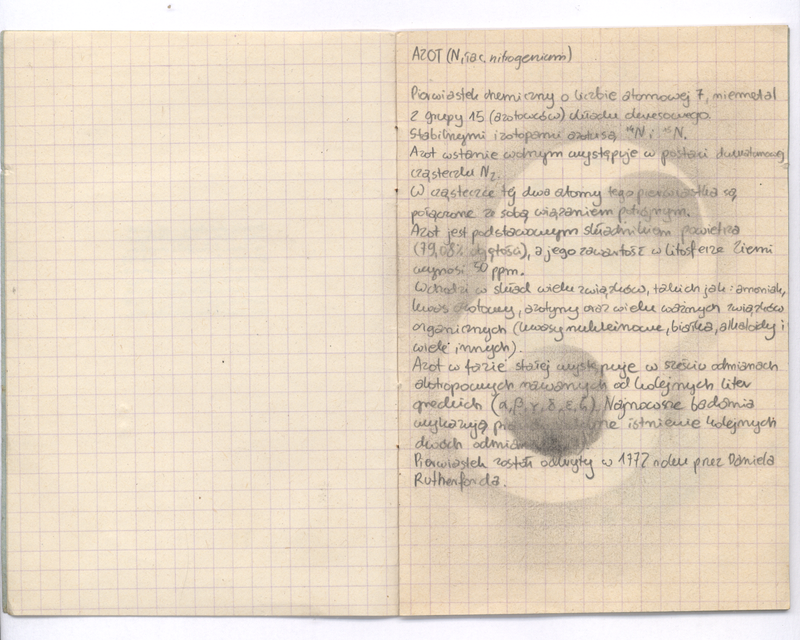 The topic of this project (The real air) was a task in the Interdisciplinary Studio where I was a student during my masters studies (Painting Department of Academy of Fine Arts in Krakow). 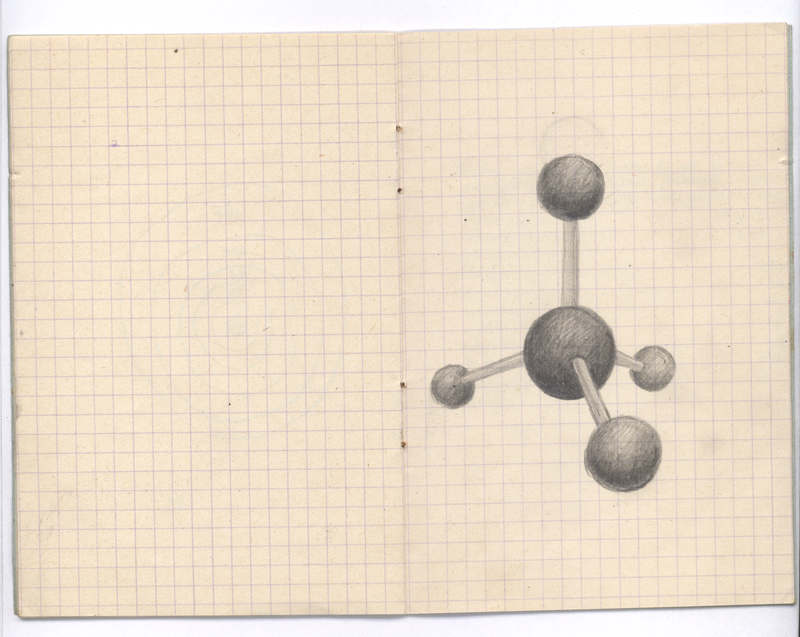 My interpretation of this topic was the representation of air in its chemical and physical features (for me there can’t be anything more real then scientific facts). 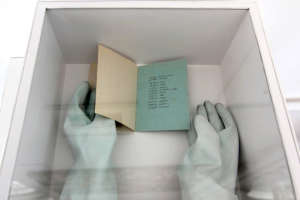 Artbook placed in the box theoretically containing the perfect air (with the best balanced gaseous components) presents all ingredients of ideal sample of air. 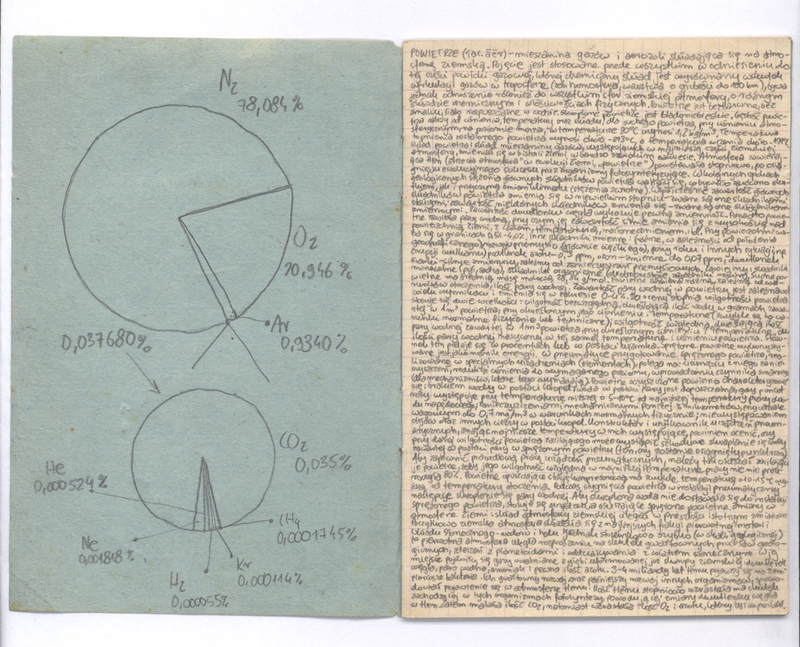 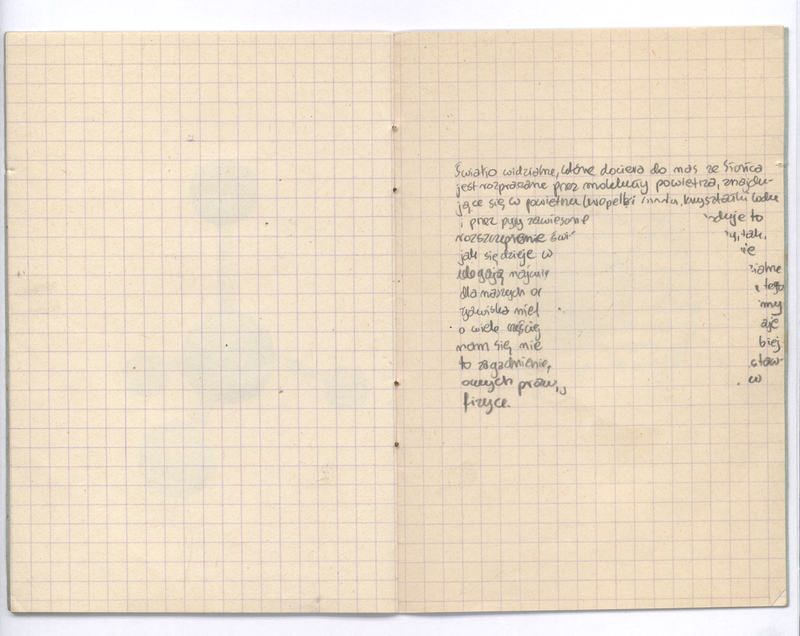 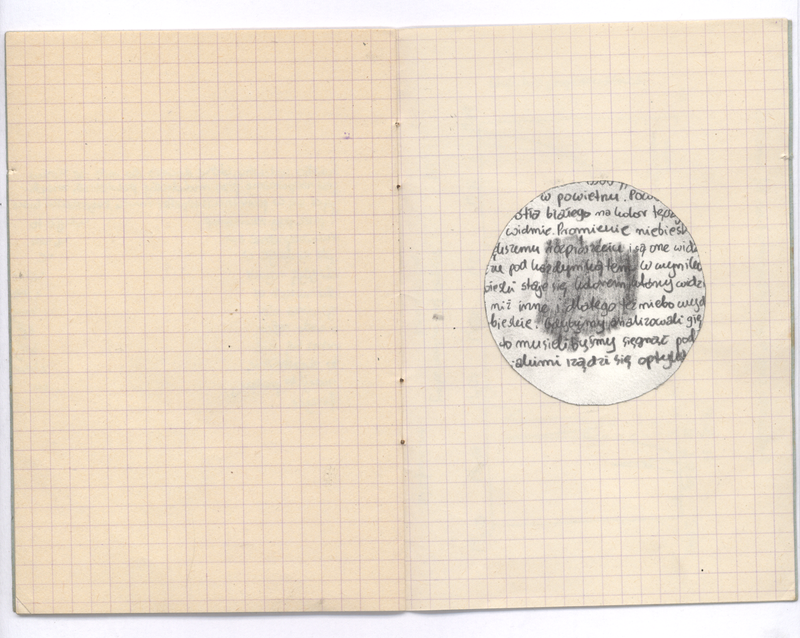 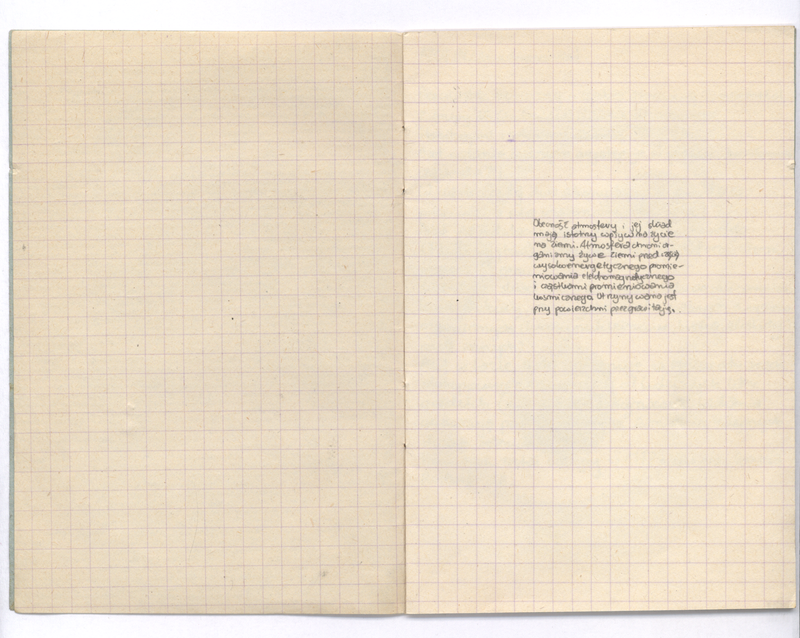 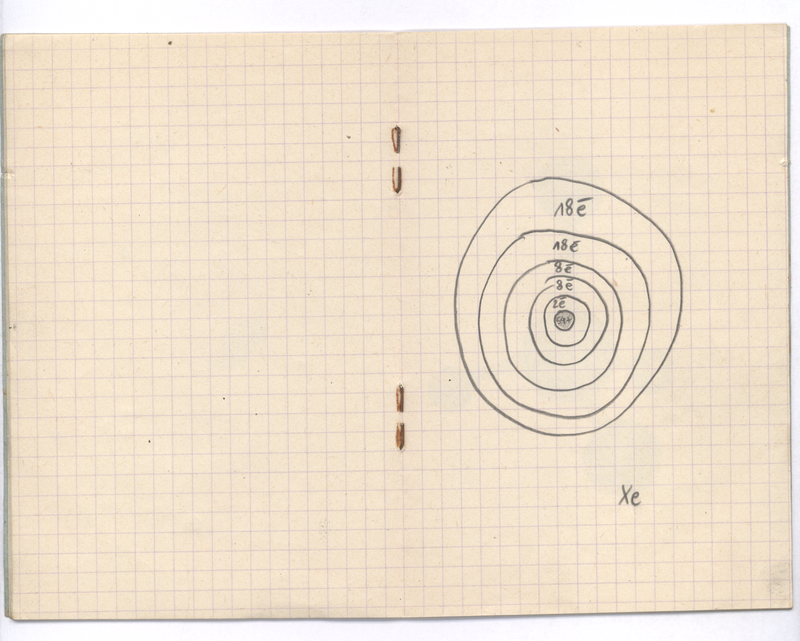 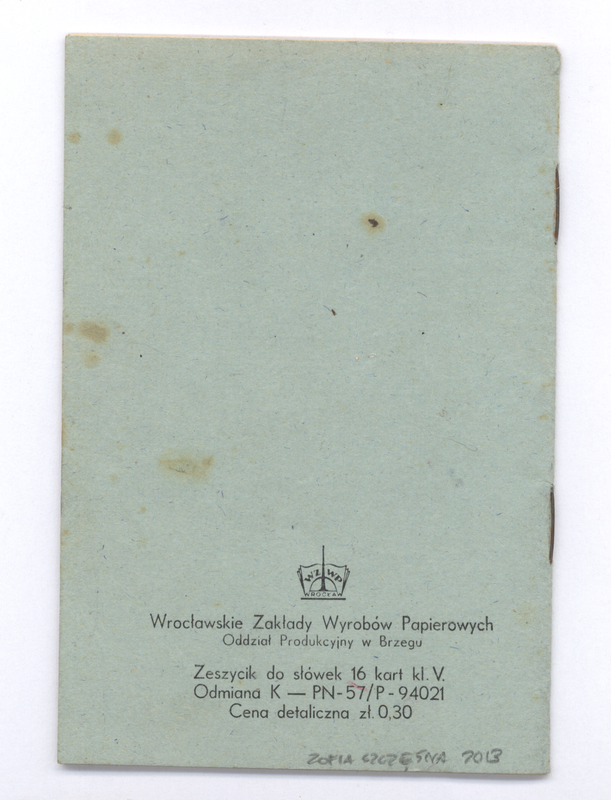 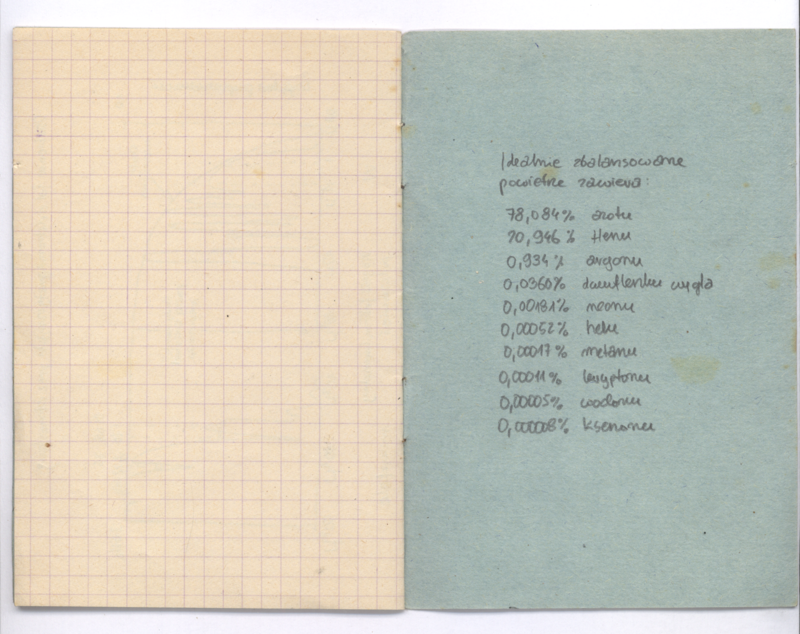 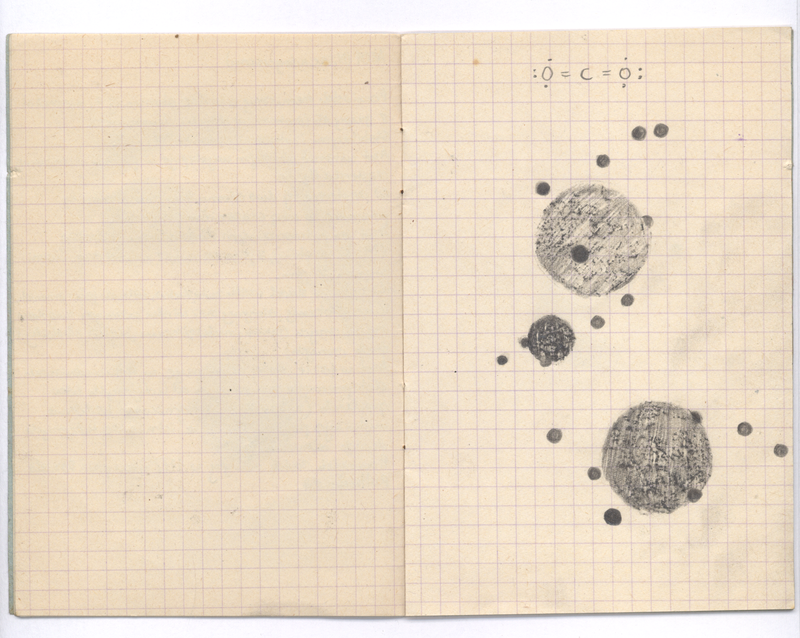 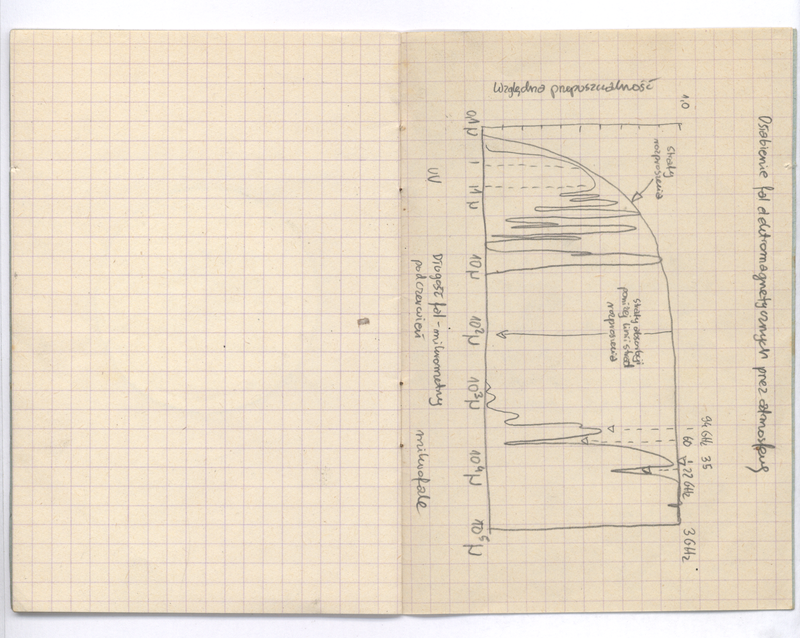 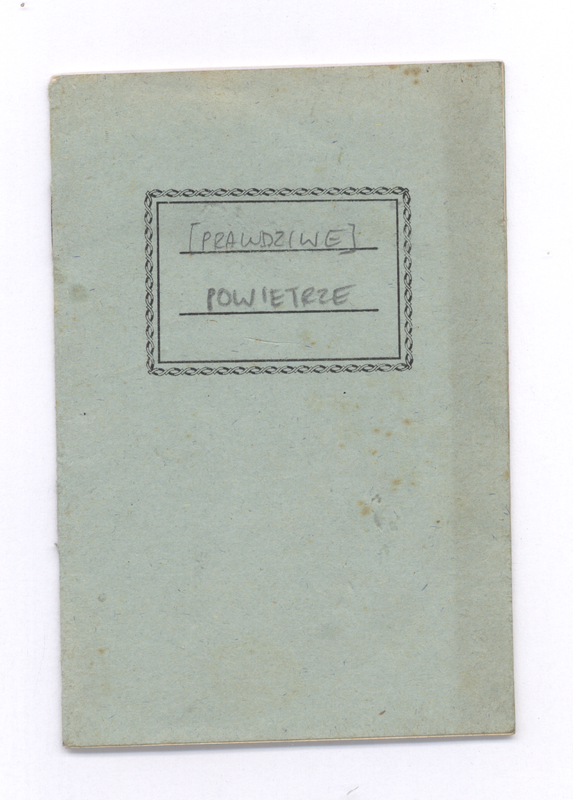 It’s a sketchbook of an artist playing with scientific data, done in an old notebook used in schools in Poland. 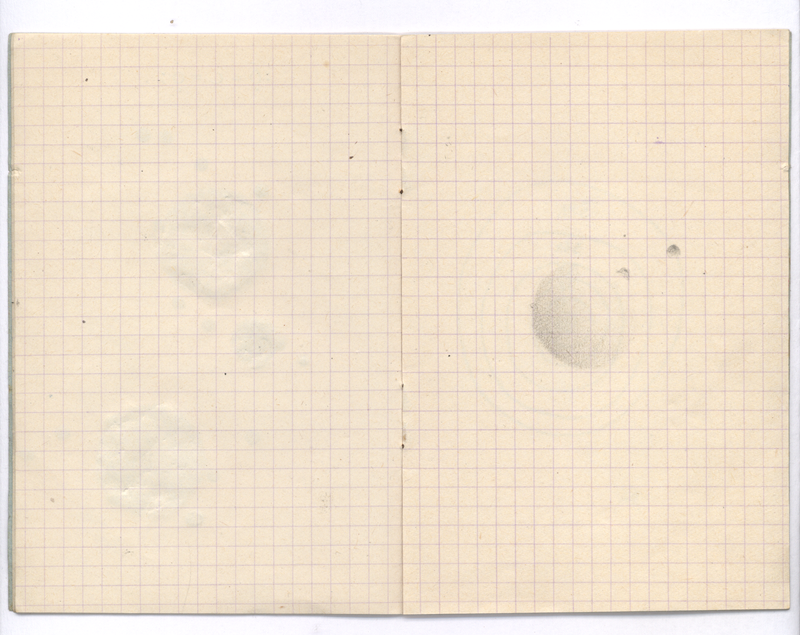 Other object consisting of the installation was, among others, a glass ball with air baubles captured inside.